At Goosecross, we are known as much for our laid-back atmosphere and hospitality as we are for our dedication to making seriously great wines. As a family owned and operated winery in Yountville, we are proud of the wines we grow and excited to share them with our guests. Experience our modern tasting room set among the vineyards. Taste wines, bond with the friendly staff, wander the vineyard, relax on the scenic deck, and witness production. As all of our wines are sold consumer-direct, the winery is the only place to find them. Join the wine club to continue to experience our piece of Napa Valley year-round. Our staff is extremely friendly and never stuffy or pretentious. Come as visitors and leave as friends. 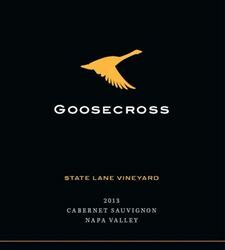 To join the wine club, visit www.goosecross.com or call 707-944-1986.